Whether you need a new installation or repairs, reach out to our roofers for your roofing services. 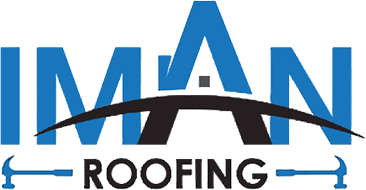 At IMAN Roofing company in Euclid, OH, our experienced, reliable roofers take great pride in providing timely, personable services to our clients. With over 10 years of experience in the roofing industry, our professionals know how to set our clients at ease while providing top-of-the-line services. Contact us now to start with a free estimate and inspection. Protect your property from the elements with the assistance of IMAN Roofing. As an experienced roofing company in Euclid, OH, we provide complete installation and repair services for the roof of your home or business. We always use top-grade shingles in our projects and offer a lifetime warranty to give you peace of mind that your new or repaired roof will stand up to all weather conditions. So, no matter if you need a simple repair or a complete replacement, trust our team to handle the work. Give your home or business a great new look when you update your roof with our complete roofing services. We offer shingles in a variety of colors to upgrade the exterior appearance of your property. This will significantly improve your property’s curb appeal and will add a significant increase to the value of your home or business. This way, not only will you be increasing your property’s protection from the elements, but you will also be making a great investment in its value. Furthermore, repairing or replacing your roof will also improve the energy efficiency of your building. This improvement will help to lower your monthly energy expenses, helping you to save even more. To learn more about the energy savings and value increase that a new roof provides, reach out to our roofing company. Our team is always ready to answer any of your questions and provide you with any assistance you require. Contact us when you need roofing installation or repair services for your home or business. We proudly serve Euclid, OH, and the surrounding areas. Reach out to us today for a free roofing estimate.